We offer 24-hour cover with guaranteed response times, so our customers know they have the cover they need 365 days of the year. This service is available to all our account customers. 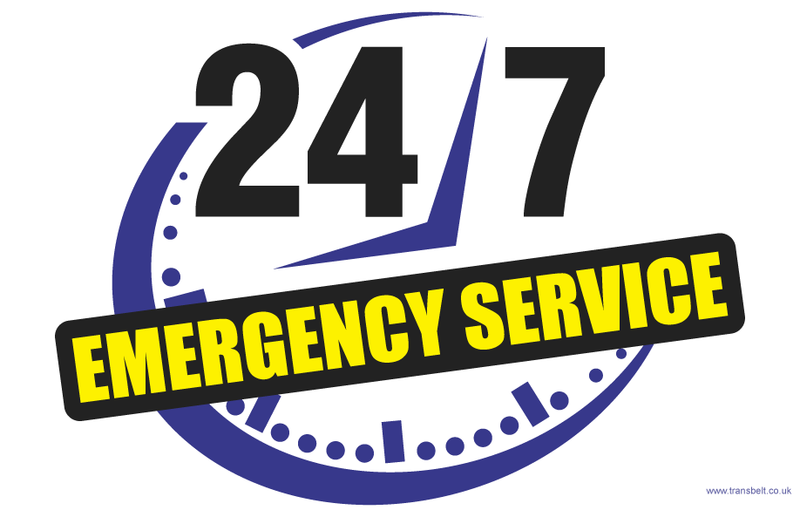 We understand you need to keep going and that is why we offer a 24 hour callout service. In the event of a breakdown, an immediate response is vital. Transbelt always maintain site personnel on standby so we can keep the time from callout to site arrival to a minimum. To ensure a quality service, we hold regular surveys at customers’ sites. Survey results are immediately available to our site personnel in the event of a callout. This has been proven to enhance customer satisfaction by avoiding mistakes and cutting response time. Our response time averages 1-2 hours. You will quickly be back to business. All Transbelt site personnel are trained to the highest standards in all aspects of onsite installation. 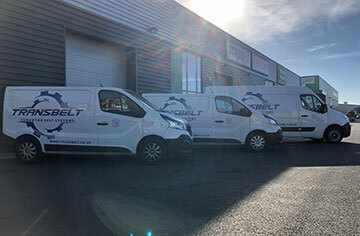 We pride ourselves in being one of the few, if not the only belting company capable of jointing every type of belt construction without the need to sub-contract. Whether you require a cotton belt with a sewn joint, a food quality PVC/PU belt, or an industrial rubber belt, we have the knowledge and expertise required. Currently we are able to vulcanise belts up to 3200mm wide onsite.